AI is Replacing B2B Sales Roles. How Much Time is Left Before the Machines Take Over? Last year at I/O, Google CEO Sundar Pichai wowed the world when he played a recording of Google’s Duplex AI calling a hair salon to set up an appointment via Google Assistant. The audience gasped as Assistant flawlessly booked the appointment and even punctuated its speech with breathing sounds and speech disfluencies like “um” and “mhmm.” Perhaps the most surprising part, though, was that the representative from the hair salon could not seem to tell that she was actually talking to a robot instead of a human. This interaction prompted Alphabet chairman of the board and former Stanford University president John Hennessy to say that Google had passed the Turing test, and a number of other people agreed. While some have since cast doubts as to whether or not Duplex passed a true Turing test, the implications of what Google achieved with Duplex are undeniably huge for AI across the board. 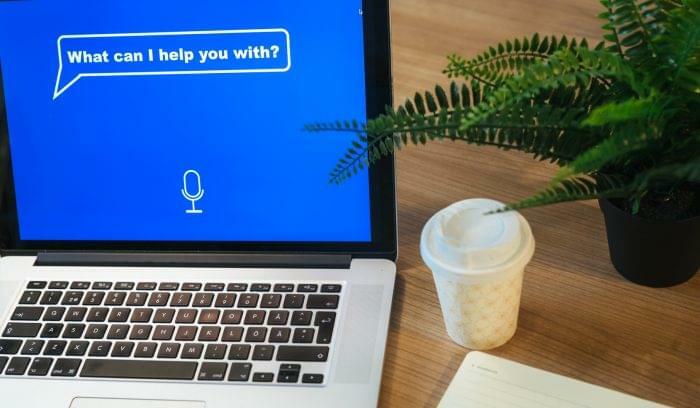 For example, IBM’s Watson is already helping businesses in multiple industries by answering customer FAQs, identifying tax credit opportunities, and improving cross-departmental learning. If a machine can already make a hair appointment and perform some accounting functions, is a B2B AI service that takes on many of the job responsibilities previously associated with salespeople that far off? AI is expected to take over many tasks, but your sales job is probably safe (for now, anyway). Many experts agree that AI and automation will lead to the displacement of at least some jobs. And if you’re Matthew Cook, the founder and CEO of SalesHub, “some” could mean millions of sales jobs. This doesn’t mean all sales jobs will vanish, but certainly ones that mostly deal with repetitive, low-level cognitive functions are ripe for being automated. Just as ecommerce platforms have all but eliminated the need for buyers to go through a salesperson to say, order more paper for the office, AI programs built especially for sales teams could soon eliminate the need for salespeople to spend so much time prospecting and qualifying leads. For example, imagine you’re running an inbound strategy focused on white paper downloads. A potential lead comes across your white paper through a Google search, and after filling out a lead form on your website, she downloads the white paper. You may still want to call this lead so she knows there is, in fact, a human on the other end of that white paper, but the ensuing emailing back and forth to find a good time for a follow up call is tedious and frustrating. Automating such processes is where an AI can really shine. People are increasingly looking for human touches in our tech-obsessed world, but streamlining scheduling is at least one way people and AI can interface harmoniously. We were promised an AI revolution. So where is it? In 1953, American author Kurt Vonnegut published his first novel, Player Piano, a satirical prophecy of a future in which machines have taken over all work. In this world, machines perform both manual and cognitive labor, and politicians have been replaced by an oligarchy of engineers who design and update the machines. Today, we find ourselves in quite a different future (knock on wood), but one in which AI is nevertheless all around us. Contrary to what Vonnegut predicted, automation isn’t necessarily displacing our jobs so much as it is enhancing them. For example, while many inside B2C and B2B sales positions have been replaced by ecommerce platforms, which have in turn created warehouse jobs, humans can still get a job in telemarketing. And McDonald’s is still hiring cashiers despite adopting self-service kiosks in some of their stores. Even though it’s since gone up a little bit, the U.S. unemployment rate in December 2018 was the lowest it’s been in a long time, and in 2017 Derek Thompson reported in The Atlantic that growth in capital investment was the lowest it had been in 60 years. In fact, that same article noted that we could actually use more automation in the U.S. to help with our current productivity slump and that globalization has had a much higher effect on unemployment than automation has. So far, trading with China has been more disruptive to the U.S. labor market than job loss from automation. Could our fears be misplaced? So how much time is left before low-level B2B sales roles are overtaken by robots? A world in which human labor is given an extra boost by artificial intelligence is exactly the kind of future that Ilan Kasan, the co-founder and CEO of Exceed.ai, envisions. This may still sound like science fiction to you, but it’s already a reality with companies like Ilan’s. Exceed.ai has created an AI that can qualify leads before handing them off to a salesperson. In fact, salespeople across the country are already adopting such technology to help with their jobs. 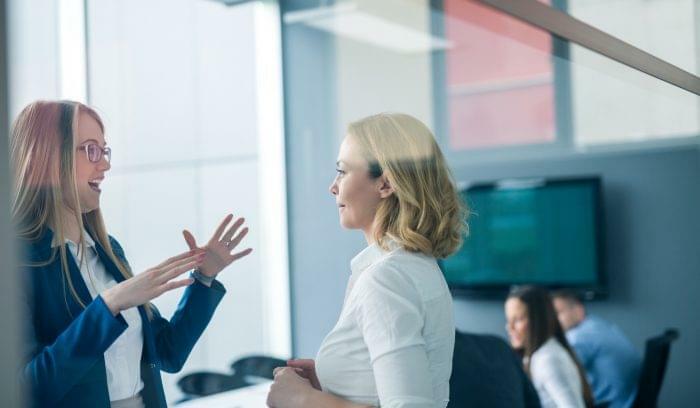 Hayes’ comments resonate with what other salespeople and researchers are saying: at least for now, AI presents more of an opportunity to augment or improve sales functions as opposed to displacing entire jobs. In other words, machines might not take your job, but they will serve as assistants, handling some of the time-consuming, routine tasks of your job so you can focus on building relationships with prospects, creating new services, and other tasks that drive revenue. On page 14 of a Brookings Institute report titled “Automation and Artificial Intelligence: How machines are affecting people and places,” authors Mark Muro, Robert Maxim, and Jacob Whiton say, “Machines substitute for tasks, not jobs.” Published on January 24, 2019, the report explains that jobs are simply a set of tasks performed by people possessing a certain desired skill set. Unless your job is comprised of mostly repetitive, low-skill functions, you shouldn’t have to worry about being replaced by a robot. The key to future job security, then, is lifelong learning. 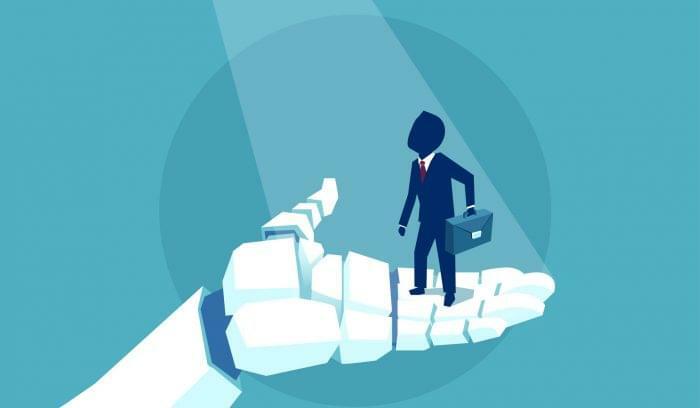 Salespeople working on higher-level cognitive tasks who are constantly earning new certifications and taking new courses are probably safe from having all of their job functions automated to the point of unemployment. Until some new technology is invented, today’s machines still work best with predictable functions that are easily codified. Your job isn’t going away, it will just change. While it doesn’t look like we’re heading towards a Terminator-type scenario anytime soon, the proliferation of AI will soon touch every industry and impact most jobs, both manual and cognitive in nature. It’s impossible to say with any certainty, but at least for now, a future where machines and humans work side-by-side doesn’t seem so grim. For jobs in sales, we will likely see improved client satisfaction across the board, exciting new ways to serve people, and greater job satisfaction among salespeople. Some sales job displacement will be an unavoidable byproduct of this transition, but if history has taught us anything, it’s that innovation is unstoppable and usually causes more good than harm. That was true of the wheel as well as the microprocessor, and it is gradually showing to be true with artificial intelligence.